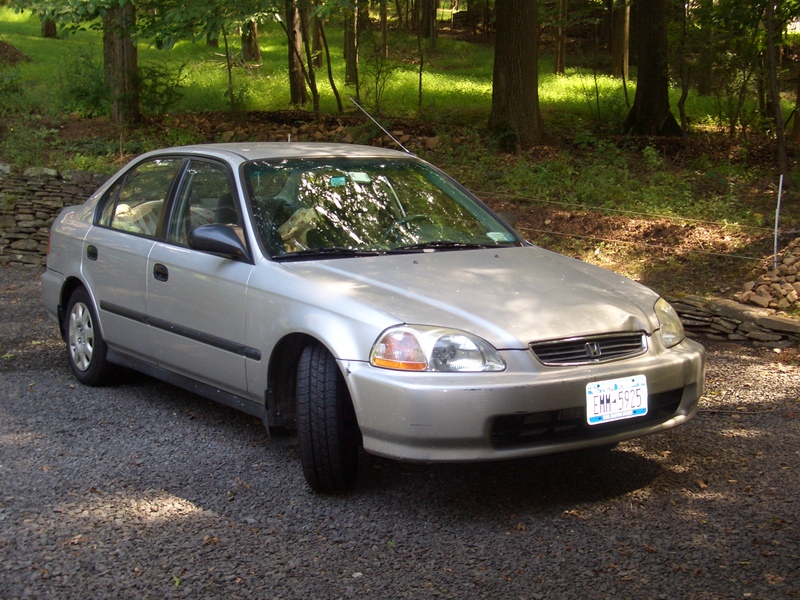 on april 28th , 2002, the day after i landed in la, i bought my 1998 honda. it had a manual 5 speed stick shift, manual door locks and manual roll down windows. that little car was very good to me and carried me all around the state of california, cross country, throughout nj, nyc & long island through 2 sales rep jobs and many trips inbetween – all without a problem. i still remember the day in 2006 when i made my last car payment and it was officially mine – full of small nyc dents & dings with a back seat smothered in dog hair, but continued to get me everywhere i needed to go. it was a great little car and i can’t believe i’m actually going to miss it. although my honda serves me well, i’ve been day dreaming about a new car for a couple of years now. maybe one with a sun roof and automatic windows. leather seats would be amazing as ivan’s hair could be easily cleaned and it would be an automatic, no more shifting from 1st to 2nd and back to 1st again through the holland tunnel – and the best part of my fantasy car was the cd player. at 3:00 post ad on craigslist. 3:15 take call from potential buyer requesting more pix. 3:16 take call from potential buyer #2 and agree to be available to show car in 25 minutes. 3:4o show honda to jaun (pb #2). 3:41 accept jaun’s offer and accompany him to bank of ny where he withdraws cash. 4:00 sign over title, drive with jaun to my garage on 101st st. and remove plates. the giver, the givee & the gift! thank you mom!! thank you, pop – thank you mel – thank you jaun! and thanks to dad too, because i bet it was his idea for mom to get a brand new car in the first place. and many thanks to my reliable little honda that was always very good to me.